Something is definitely “changing” but what is it? Markets around the world are convulsing which is definitely different than anything we have seen in over a year. We also know that interest rates are going higher all over the world. In fact, if you look at rates going back to 1981, the downtrend line(s) has been broken and thus a very major change. Generational trades and 37 year trend lines are rare on their own, when they finally break it means something very big has changed and you must do your very best at trying to figure out “what” it is. Let’s take a look at two charts that might help, one of interbank lending in the U.S. and also at “velocity”. These are both very important and I would suggest they are both connected by something called “trust”. First, interbank lending absolutely collapsed out of nowhere at the end of the year. If you look closely below, interbank lending has dropped back to only $13 billion or the same level it was all the back to pre 1973-74 recession levels! You can follow along and see how lending amongst banks generally inflated all the way up until 2006-2008 until it crashed. This happened because banks did not “trust” each other. From there, the lending tapered off until the recent nearly zeroing out of interbank lending. I would suggest since 2009, the amount of lending steadily decreased and never increased as banks “knew” other banks did not have strong balance sheets (maybe because they knew the reality of their own balance sheet?). In any case, there can be only two reasons for lending to collapse like is has. Either there is no need for money (credit) OR banks do not trust each other? I would highly suggest it is the latter. So “what” does velocity turning up mean and why is it important if it is? This topic could be an entire book and a lot depends on “where” in the credit cycle it turns up from. Without doubt, we are at the end of both a cyclical and the secular credit cycle. You see, once debt became too prevalent in 2000, and even worse in 2007, it became over bearing and we hit what I have termed “credit saturation” levels. Rates had to be lowered (even to negative levels) to prevent a domino collapse cause by the inability to service. 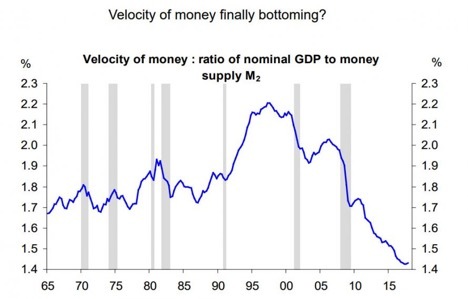 But then more “medicine” (debt) was applied and velocity turned down again after only a brief uptick. Velocity turned down again after each of the last two reflation attempts, only it never really bounced the last time. This is because the high levels of debt ate up much discretionary earnings and it felt “tight”. The feeling of tightness (or feeling of lack of money on the streets) led many to pull in their horns so to speak. If velocity is truly turning up here (I believe it will go vertical at some point), it will be for ALL THE WRONG REASONS! Let’s see how these all tie together and why I bolded the phrase “all the wrong reasons”? In one word, “inflation”, but let me explain. Oversimplifying, inflation of say 4% will not allow credit markets to function at rates under that because no one (except central banks) will lock money up at a lower rate than the currency is debasing. Thus, higher inflation means higher yields and lower bond prices. The problem? Debt (bonds) have become the “foundation” to everything financial …INCLUDING currencies themselves! This is where velocity comes in… If investors believe inflation and thus rates are going higher (in an over levered world), fear will set in. Fear of EVERYTHING financial becoming worth less because they are all “discounted” versus interest rates. Also, and probably more important, fear of loss via “bankruptcy” whether by issuer or counterparty. Additionally, higher rates means no more ability to refinance or to “roll over” debt”. Remember, all currencies are debt based …so inflation/fear will be exhibited not only in the sale of bonds (and to a lesser extent equities) but also the currency in a “hot potato” fashion. In other words, the dollar’s velocity will turn sharply higher as people finally “spend” them to GET OUT OF THEM! To finish, I would ask, is inflation what the banks saw coming and decided to flatten their books with counterparties? Did they see massive U.S. Treasury borrowing needs and figure out the only player with that kind of buying power is the Federal Reserve who has claimed they would taper and actually are to a small extent? Do they see outright monetization necessary and in the wings? Are the banks front running the Chinese trading for oil with yuan …and thus knocking some serious demand out from under the dollar? Folks, the money has already been created and the debt already put in place which is kindling wood for inflation. In the old days when money was gold, we would be set up (versus gold backed currencies) for the greatest DEFLATION of all time. Because gold as “money” has been replaced by manmade debt and currency, the result will again be a deflation but in difference sorts. The deflation will be in currency and credit versus gold … it will look and feel like HYPERINFLATION to those holding the dying debt and currencies. Assets that have derived their value from investors borrowing to purchase will all deflate against gold …while very possibly (probably) still inflating versus a dying dollar and other fiats. Look at it as a totem pole of deflation. Gold at top and EVERYTHING deflates (resets) against it with the dollar (currencies at the bottom. Currencies will lose THE most value (along with fixed income) and are at the bottom of the totem pole …so “real stuff” will inflate against the currencies. When all is said and done, we are soon to have the biggest deflation of all time versus gold …but it will “feel” like hyperinflation to the vast masses who do not hold gold! Fiscal insanity and monetary lunacy have reached their limits. They will and are “trying” for one last hurrah www.mcclatchydc.com, by borrowing their way to another reflation …GOOD LUCK WITH THAT! I really appreciate your articles, updates and excellent insights! Keep them honest, Bill! Thank you for your analysis. I have followed both of you for the last couple of years. Great information!! The comment that I want to make is that there is an amazing number of folks who do not pay any attention to the real financial conditions. Yesterday will be the same as tomorrow. More government debt is not a factor in their lives. As I watch everything unfold, I see no solution coming from our government. I have served on about every board there is to serve on in my community. We always operated within the parameters of the budget. My wife and I have been married 44 years, two daughters, seven grandchildren, and a great life. I have prepared for what every comes. My wife is president of the Church Council so we both prepare spiritually. Keep delivering your messages and I hope more will listen. God Bless both of you. 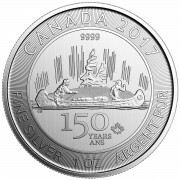 Specificly, how would I use my 1/10th oz of gold or silver? 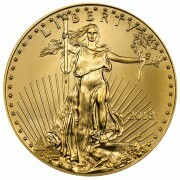 Would I bring it to the grocery store and pay for my groceries with small denomination gold or silver? What are the ways gold and silver will save me and mine? How can I use gold and silver after it hits the fan? Please, be very specific. Thank you. If you are frugal in buying your groceries you may be able to buy a weeks worth of food for $135 or roughly 1/10 of an oz of gold. Right now you may have to exchange it for the accepted currency. But prices will rise if the value of the dollar is worth less. It will take more dollars to buy the same amount of groceries as before. 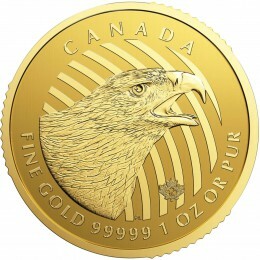 By the same token, it will take more dollars to buy the same amount of gold as before. Your 1/10 oz of gold will probably buy the same amount of groceries as before, in other words, gold is a store of value of your purchasing power. You may have to exchange it for the acceptable currency of the times but who knows, maybe if the dollar is losing its value fast enough your grocer may be more than happy to accept your 1/10 oz over the paper that is becoming worthless (no pun intended). Marie, maybe it will help you to know that in the town where we lived in Michigan in 1979 and 1980, signs were up around town that said things like “Gasoline one gallon for one silver dime.” I am not Bill Holder but my suggestion is to hold a healy supply of pre 1964 U.S. silver coins. You may well be spending them one day! Your Gold and Silver would be worth something to trade for what you need. 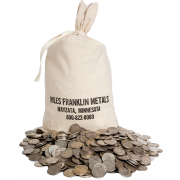 When your fiat currency buys less and less your precious metals hold value and has always been worth something, unlike wheel barrels of fiat for a loaf of bread. Read about peoples experiences when involved in hyper-inflation and how they wished they had just one ounce of gold. But specifically you will remember this paragraph I am writing for you. If you have no gold and there is that last loaf of bread to be had, if I am the store owner I would take the gold from the guy that’s last on line instead of your money(fiat currency) Good luck in the future and lets hope it doesn’t get like that. We follow Miles Franklin and Bill Holter down under in the Great Southern Land(Australia).